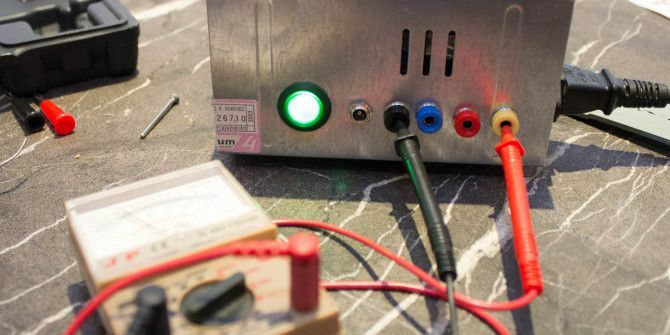 A bench power supply is an extremely handy bit of kit to have around for electronics hobbyists, but they can be expensive when purchased new. If you have an old computer ATX PSU lying around, you can give it new life as a bench power supply. Here’s how. Like most computer components, power supply units (PSUs) get outdated. When you upgrade, you may find you no longer have the right connectors – or that your shiny new graphics card requires far more power than your puny old PSU can handle – a dual GPU setup can easily rack up 1,000 watts. And, if you’re anything like me, you have a stash of old PSUs hoarded away in a cupboard somewhere. Now’s your chance to use one of them. A bench PSU is basically just a way of providing a variety of different voltages for test purposes – perfect for those us who are constantly playing with Arduinos and LED strips. Conveniently, that’s exactly what a computer power supply does too – only with a lot of different connectors and coloured wires. Today, we’re going to strip the PSU to its bare essentials, then add some helpful sockets onto the case that we can plug projects into. Ordinarily, you’d never open a power supply unit. Even when the power is off, there are large capacitors that can store lethal electric current for weeks, sometimes months, after being turned on. Take extreme care when working with a power supply unit and ensure it’s been dormant for at least three months before opening the case, or make sure you’re wearing heavy rigging gloves when poking around in there. Proceed with caution. Also, note that this will irrevocably damage the PSU, so you won’t ever be able to use it in a computer again. Two 2.1mm barrel jack and socket – I’ll be powering the Arduino directly with this. Two barrel jack plugs will be used to make a male-male power cable. Variety of 2mm coloured sockets, such as this one (can be used with banana plugs). You may prefer terminal posts. Heat shrink tubing, 13mm x 1m (and smaller, if you can afford to buy more). SPST (single pole single throw) rocker switch. I used an illuminated one to serve the dual function as power on light too. 10w 10 Ohm wire wound resistor. Unscrew and remove the top half of the power supply case. You may need to pull a plug out of the main circuitry to fully separate the covers. Strip the plugs and pull the wires through the hole in the case. Exactly which power lines you choose to connect up is your choice, but I decided to only work with the 3 positive lines – 3.3, 5, and 12V. I also won’t be using the purple or grey wires, instead wiring a 12V illuminated switch. Use HSS drill bits to cut appropriately-sized holes in the metal – the 2mm plugs and DC barrel required 8mm holes. Clamp the case down with a piece of wood underneath. Making the hole for the rocker switch was a lot more difficult, but you should be able to use a smaller drill bit to cut out as much as you can, then file the remainder away with a hobby drill and grinder. Pulling the wires through the appropriate holes and soldering the sockets before pushing them into the case is probably a good idea; I didn’t do that. The GND, +3.3V, +5V, and +12V plugs should be easy to wire up. Remember to cut a small piece of heat shrink tube and thread the bunched wires through it before soldering them to the terminals! The DC barrel plug is a little more complicated. Since this will be used to power an Arduino, which is centre positive, you should connect some yellow cables to the centre pin. You may have heard the Arduino can be powered by 9V external source, but the on-board power regulator actually allows for 9-12V, so the 12V from a desktop PSU should be fine. Barrel jacks have 3 pins, but only one of which is obviously connected to the centre. You should see a circular metal bit, but check where you purchased from if you’re not sure. The other two pins are GND, and both should be connected. Again, use heat shrink tubing to ensure the centre and outer pins don’t accidentally connect. The green wire acts as a power on switch – simply ground it to turn on the PSU. This is unlike a regular power switch, would would actually cut the power coming from the source. The addition of illumination makes this the most complex part of the project. Illuminated SPST switches should have 3 terminals: one will be indicated either by a different colour or labelled and GND. The terminal opposite would normally be wired with 12V, then the rest of your circuit would be powered from the centre pin. Switching it would provide power to the circuit, as well as draw a little for the light. However, this is isn’t going to work for us. Instead, reverse the GND and 12V line. Use a single 12V cable (yellow) on the coloured terminal of your rocker switch (or the one labelled GND). Pull a black wire (GND) to the pin opposite; and put the green cable to the centre pin. Now when the switch is pushed, the LED will still be lit, but instead of 12V being sent back out to the centre pin, the GND will be shorted with PWR ON, resulting in our PSU activating. Finally, with your heat shrink tubing neatly pulled down to cover the switches and solder points, use a localised heat gun to shrink them. This bit is actually quite fun to watch. Many power supplies require a load to stay on – in this case, we can use a 10W 10 Ohm resistor to do the job. Wire it between the 5V (red) and GND lines. It’ll produce a small amount of heat but should be fine with the fan on. I finished up by tying together any loose cables and covering them to ensure they didn’t touch other internal parts, then put everything back together again for test. I mixed up which side to place the plugs and button on, so they ended up being located on the cramped side, some right above the AC power socket. This is, of course, a stupidly dangerous thing to do, as the AC soldered pins might pierce the or touch the DC power plugs, sending a nasty surprise to either myself or my Arduino. I solved this by gluing a bit of thick plastic between them, but it’s not ideal. Think twice before drilling and make sure your sockets go on the correct side! It was also at this point that I realised why this PSU had been shelved in the first place – the fan wasn’t running. No worries – the fan itself was fine, but the controller circuit was broken, so I opened it back up and spliced the fan directly to one of the 12V lines. Finally, I did some testing with a multimeter to ensure voltages were correct. I now have a permanent bench power supply for electronics projects, and can do away with constantly plugging in various adapters. It’s been a learning experience, and mistakes were made: you should learn from them. Let us know how yours turns out! I'm new to electronics, but I was wondering if you could add something like a potentiometer with something like a LM317 to make a voltage control knob? that way you could have the 3 set voltage outputs plus an additional knob connected to a 12 volt output that would be able to cover a range of voltage outputs. If so, would there be any issues with using the 12 volt output with the variable one at the same time? After MUCH frustration, I found that the ATX power supply that I tried using, needed no minimum loads, EXCEPT on the 5V purple wire. Data sheet mentioned minimum loads for all the voltage rails except this one. Not sure what the minimum load on this line is, but 10Ohm worked, as well as using my raspberry pi. But when I was trying to qualify the PSU, I could not get it to turn on, no matter what loads I attached the the 12V, 5V, 3.3V rails. OCZ 600W PSU. Hope this helps someone else. This is an interesting article, even if it is OLD. I'm new to electronics but I'm getting a Raspberry Pi 3b for Christmas this year and I'm going to build this unit and add a pair of 5V USB plugs (I've salvaged an old dual USB port from a computer with a bad motherboard) to the output plugs so I can power that and my Pi Zero W simultaneously. My father used to be an electronics technician at Burr-Brown Corporation in Tucson, AZ and tried to teach me some stuff when I was a kid and not interested, so at least some of the terminology is familiar... &^) . I presume the red and black wires that go to the USB port are positive and negative 5V? Thank you for that... at least I haven't started yet... got to see the new Star Wars last night... Thanks again. I had an old power supply hanging around and finally got to this. All went pretty well, but I have a problem with the switch. It is a SPST with a led just as in the tutorial. Connecting gray/black directly powers on as expected. If I connect the switch it as shown, I get a flashing led and intermittently powered unit. Other configurations of wires on the switch can get me power to the power supply, but no led. If it's an ATX power supply the pinout for the motherboard plug is the same on all of them. look up the pinout for the 24 pin connector for an ATX power supply. You need to connect the PS_ON pin to a ground pin. Most of the time they're colored, but some power supplies don't have all the wires colored. I plugged in my power supply and the illuminated switch's light would not stay on but instead flashed continuously as did the led circuit i hooked up, please help!!!! Same thing for me. I think it is a problem with the switch wiring. I posted above also. If it just connect the gray/black directly I get it to power on, but the switch is obviously inactive. I've done a few similar supplies.. a 200W Dell (cooling fan on top) and a 450W generic (Power-Man?)... I've been noticing a lot of the newer supplies already have some form of load resistor across the +5V, hard-soldered to the main board inside. (Carbon-film mostly) but none as lower than 20-Ohm, 5W. I've been using, as a rule-of-thumb, (mainly because I burned my thumb using a 10-ohm! pardon the pun) 33-Ohm 5W sandblock on ones requiring the load, and have had no problems getting them to power-up. Paulo, the amperage is, as James said, the Maximum load it can supply.. 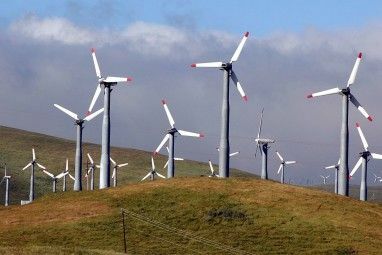 If the component draws heavier than the others on the supply, the higher amperage will keep supplying the same voltage to everything connected. You can still run a LED off the 3.3V, without even adding a limiting resistor, and it'll just light.. Connect it to the 5V, It'll burn out, connect it to the 12V, and *POP! * The ONLY risk, with the high amperage, is risk of short-out.. (shorting out a 9V transistor battery, with a 10-Amp fuse, the battery would simply get warm from the load. but the fuse would stay intact. Connect the same 10-amp fuse across a larger 12V car battery (higher Amp/hour output) the fuse would break. Many thanks for this article! It is excellent! I have power supply 220 W (hardware.nl/power-supply/dell/rwfhh.html) but is old and I want to change it little! Right now I need power supply 65 w (130w surge), could you tell me is it possible to make it by myself. last time when I tried to make it I had problems with harness, i just broke it ( and it is very expensive) so i don't want something like this will happen again! Please help me! this is what i need to make. Load limit of adaptor input 1.8 A max. I didn't use the 10w 10 ohm resistor. I just wired in a 12v fan connected to a beefy heatsink salvaged from an old CPU cooler from the same computer as the power supply. But yes, that is what the resistor does James. And no, you don't need one on every line...just on a 5v. A fake load...really good idea, I just decided to save $2.50 on the resistor and used a fan instead...worked great and the power supply runs super cool. I did this today to run 3 NEMA 23/NEMA 17 stepper motors for a cnc arduino configuration that I designed. I used an older ATX power supply. The only thing that wasn't mentioned here that may be applicable to someone else is the pink and the brown wires that I had...if you have a brown wire labeled V.S, it needs to be soldered to the orange 3.3v wires in order to work properly, and the pink wire which is some sort of standby needed to be soldered to the red 5 volt wires. After that, it worked great. I ended up wiring in a heatsink with a 12v fan instead of the faked 10w 10 ohm resistor load (a little more cooling couldn't hurt could it?) and it seemed to do the trick of keeping a load. I also omitted the -12v connection because I like the idea of using it as a ground for my 12v connection, thus creating a 24v connection for my NEMA 23s. The CNC uses an arduino uno with a $20 GRBL compatible cnc shield with 3 a4988 drivers, 2 NEMA 17's for x and z axis, and a NEMA 23 for y axis. Anyways, great instructions. Really made it super simple. Just needed a bit of adjustment for my needs. So far the CNC project has only cost me $80, and will have a price tag of roughly $275 when finished. Thanks to you, I saved about $100 bucks on a power supply. Hey I did do this but thought my unit was a dud until I for some reason gave the fan a flick and it did try to go bringing me to realise that the fan was in need of a service,so I removed the sticker in the front the same side as the wires go inside the fan centre then removed the rubber plug that is under the sticker with the corner of a small screwdriver,i then removed the tiny plastic circlip retainer, be careful not to damage or lose the circlip. now gently force the fan shaft downwards and take notice that there should be a tiny O ring under the circlip ,don't lose it..after removing the fan blade you will notice that it has a ferrite ring inserted inside of the center of the blade,Clean this ferrite ring thoroughly along with the fan blade and the whole housing as well.Insert a smear of grease or Vaseline on the fan shaft,insert it back into the housing,carefully refit the O ring and push it down and then importantly, persevere carefully and fit the circlip.ALL done.Wire it up and it should spin like a new one. I did notice that one fan I serviced had a little too much free play on the shaft lengthways,so I fitted a tiny washer under the O ring to take that up a bit and Womma! like a bought one!! Hope you found this Helpful,Those fans do tend to get full of dust and "jib" somewhat.Cheers.Les. To get 24vdc, you can use +12 as positive terminal, and use -12 as ground terminal..voltage is potential difference, thats might be the reason you dont get voltage from second psu unit-no difference(+12v vs +12vs difference is 0v)..imagine two AA batteries connected in series..it will produce 3v, but actually you can tap the middle point as GND and came up with -1.5v on negative & +1.5v on positive terminal..that is basically concept of terminal +VE,-VE, & GND..
That's brilliant. I didn't event think of that. You just solved my NEMA 17/NEMA 23 stepper motor dillema. Thanks. Ok kool. One more thing I have 2 PSU wired together for 24v output to power stepper motors. Everything works fine but when running 12v it only comes from the first PSU. If I power the second illuminated switch from that PSU do you think it'll effect anything? Or how do you think it would work if I used the +5v and -5v lead for the 10v output to power the light? Combining two PSUs is beyond me, I'm afraid - try Stack Overflow to answer that one. Using the negative voltage on the LED in the switch would work for LED - but I suspect it would break the power ON functionality. If you're going to test it anyway, let us know how it goes! Question on the illuminated part couldn't I just use the gray wire to power the light? As far as I can tell it has a 5v output, though it wont be as bright as it would be with 12v. Hmm, good question. In theory, I guess you could. But I wouldn't recommend it,as the current draw may be greater than the grey cable is allowing for; plus it may be too dim to be useable. Heat shrink is fairly easy to find and buy, but if you're having troubles you can also use liquid electrical tape. It's now available at many ordinary hardware stores. Handy stuff in general. Excellent article. Something that's been on my ToDo list for a few years. Maybe this summer. If I make it a variable voltage/amperage supply I'll be sure to document it and share. He covered that requirement. It was more of a general comment pertaining to this type of power supply. I previously purchased an inexpensive power supply tester which has that built in . Far easier then to breadboard and use a vom. Besides that it also has a lcd readout. Quite convenient. One fact that should be noted is that switching computer power supplies have to have a load on the voltage lines otherwise you'll damage the power supply. Isn't that what the 10w 10 ohm resistor does? Or does there need to be one on every line? Nice hard-hack. But I have already done this with old AT type PS. Thanks James, exactly what I needed.